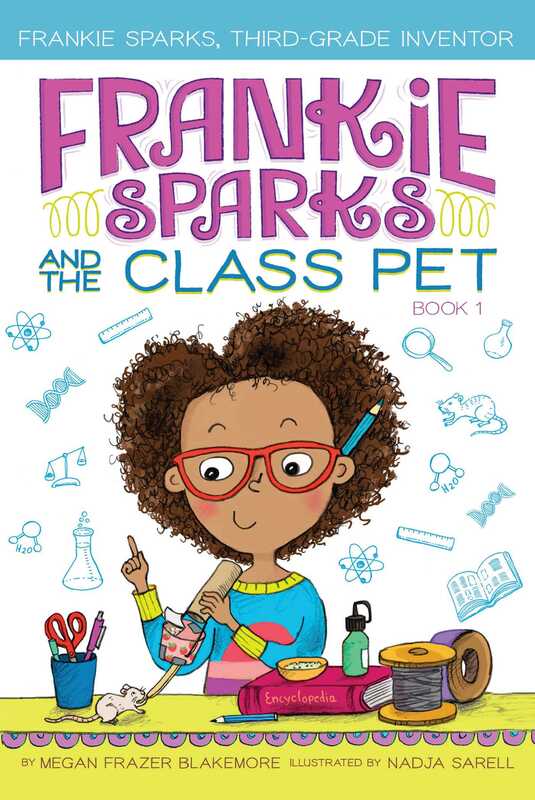 Ivy and Bean meets Aliens in my Pocket in this start to a brand-new chapter book series about Frankie Sparks, a third grader who uses her love for science and math to help her solve problems she comes across in her daily life. 2. Cost less than $50. 4. Be able to be left alone for the weekend. Frankie thinks that a rat—just like the rats in her beloved Aunt Gina’s lab—would be the perfect fit. But her best friend, Maya, doesn’t think a rat would be great at all. They are kind of gross and not as cool as a hermit crab, which is Maya’s top choice. Using her special workshop, can Frankie find a way to convince her teacher and her best friend that Team Rat is the way to go?